That’s because customers who in the past have been largely indifferent about their relationships with their electric and gas utilities are increasingly paying more attention to their energy consumption behaviors. And by doing so they’re setting new, higher expectations of what support and messages they’re getting from utilities. Our firm has just concluded a nationwide survey of more than 1,500 utility customers. In addition, during the past year we have conducted more than 200 one-on-one conversations with utility customers. For both listening exercises we set out to learn how customers are feeling about how utilities communicate with them. We learned a lot. But what really stands out are customer demands for more relevance and more personalization in communications from their utilities. Our findings show there is a significant gap between what customers want from their utility and what they’re actually seeing from said utility. 63% of those surveyed said utility communication lacks relevance. That’s almost seven of every 10 of your customers. Yikes! When asked about what they want to see from their utility, 60% say energy savings suggestions are most important. When sliced demographically, we learn that younger customers (less than 40 years) are missing out the most. They are 15% less likely to have seen suggestions on ways to save energy and only 25% report that they have seen offers for energy-related products. What are we to make of these demands? We’re all spoiled by the likes of Amazon and Netflix with their technology-enabled one-to-one communication. Sometimes it seems as if they know what we want before we do. While it is unlikely that most utilities will be able to emulate Amazon or Netflix with their deep technology teams, it is possible to pay more attention to what customers say they want and deliver it. Give them rate transparency. Give them more useful energy-saving suggestions. Give them more energy efficiency home improvement options. Customers expect that you know them, and they want you to show it in communications with them. If a customer has already performed a home energy audit, don’t try to sell them another. Better to help them along their energy efficiency journey by encouraging them to embrace more fixes on their home energy audit checklist. Customers expect you to communicate with them in real time with appropriate messaging, based on what you know about them and their recent energy efficiency actions. One of the greatest impediments to more personalized communications is the legacy information technology systems many utilities rely on. Most of these systems never anticipated the proliferation of data utilities would gather about customers, via energy efficiency programs and smart meters. Fortunately, more and more utilities are employing data analysts. We are increasingly working with these analysts to bridge the data disconnect and offer customers relevant energy efficiency solutions for their particular situation. Another key piece of the puzzle is getting the content and tone of communications just right. You want communications rooted in the voice and personality of your brand. Our research finds that only 37% of customers say utilities create messages that get their attention. A full 66% don’t recall the last ad from their utility. And only 20% say utility communications is honest. This says two things: People are mostly indifferent to utility communications and utilities have enormous communications upside. How do you counter indifference and get the upside? Easy. Stand for something bigger than your utility. And don’t be afraid to express your utility’s personality. Look at insurance companies like GEICO and Progressive, companies that have transformed what an insurance company can be. As ridiculous as the gecko may be, credit him for bringing personality, charm even, to a staid business category. And ditto for Progressive’s Flo. So why are relevant, personal, cleverly branded communications important for utilities? Three words: J-D-Power. While there are many factors that influence a utility’s JD Power satisfaction scores, one of the most important and often overlooked is getting your customer communication program right to enhance your utility’s overall customer experience. 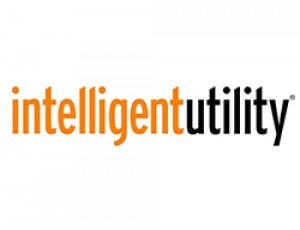 *This article was featured on Intelligent Utility on May 5th, 2016. Mary Stewart is director of strategic partnerships and a principal at KSV. Prior to joining KSV, Mary was the EVP of client services and customer engagement at CSG and then VP of customer experience at CLEAResult.